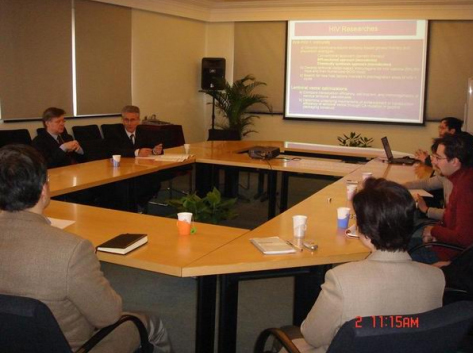 Prof. Philippe Kourilsky, one of the major actors in the establishment of Institut Pasteur of Shanghai (IPS), CAS, visited IPS on March 2, 2006. Prof. Kourilsky was invited to give lectures in Shanghai as Professor at the Collège de France. Accompanied by Prof. Vincent Deubel, Director General of IPS, Prof. Kourilsky visited Labs, which have been established for several months. He congratulated IPS for its rapid progress and wished IPS a great success in the future by its contribution to the development of science and Sino-French friendship.